Wireless Home Security Motion Sensor by HomeSafe® is designed to detect motion up to 25 feet away with a 110° detection angle. 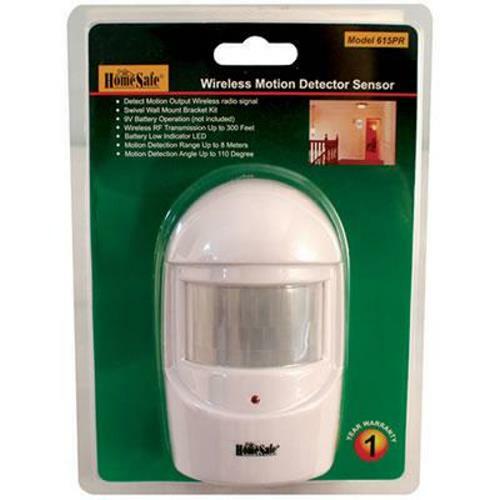 Powered by a 9 volt battery the wireless motion detector has a RF signal range of 300 feet. When motion is detected the unit sends a signal to the base unit activating the alarm, the motion detector can also be set to chime mode. This unit is an add-on sensor or use with the Wireless Home Security System. Dimensions: 2-3/4" x 4-1/4" x 1-3/4"